Let’s Go Lego at Tawa Library! Are you looking for something to do after school? 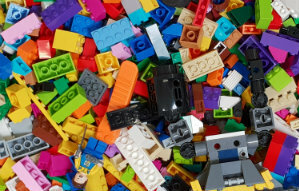 Then come along to Tawa Library on Thursday 14th February between 3.30pm – 4.30pm and have some fun by creating and completing Lego challenges. Let’s build – Let’s explore – Let’s create… Let’s Go Lego!! Next Article Flicks @ Six at Tawa Library!